As the world has expected, US 45th President Donal Trump started his presidency creating tension in the region. His first work at the White House was to sign a decree to start building a physical wall between USA and its neighbour Mexico. Here is how Mexicans responded in style to his wall. 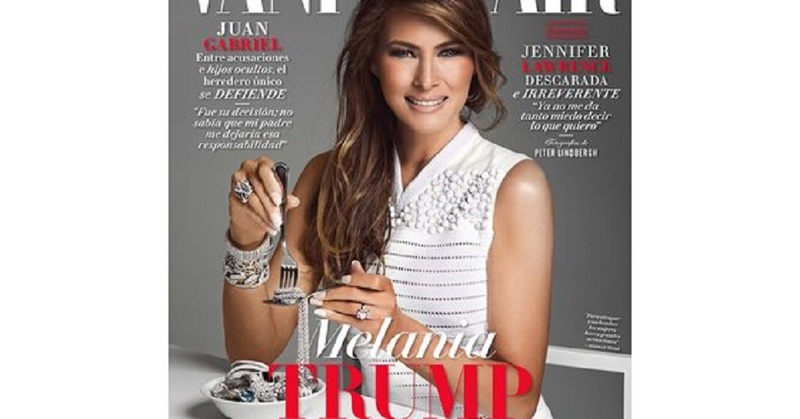 In the cover of Vanity Fair Mexico, shot by Douglas Freidman, Mrs Trump is seen in a white dress, twisting a fork around a silver necklace as if to eat the jewelry.